Home > Learning Center > Weather Readiness > What's the Difference Between a Flash Flood Watch and Warning? What's the Difference Between a Flash Flood Watch and Warning? Tornadoes, lightning, hurricanes — all forms of severe weather can be deadly if proper safety precautions aren't taken. Flash floods are particularly threatening, and besides heat-related deaths, they cause more fatalities each year than any other climate hazard. If you live in a region where flash floods are common, stay safe by learning the difference between a flood watch and warning, as well as what to do when a flash flood is likely to occur. It's important to understand the difference between a flash flood warning and flash flood watch. It's also important to know that the definitions of these two alerts differ from the definitions of warnings and watches given for other severe-weather conditions, such as hurricanes. And you definitely shouldn't assume you know the difference between watch and warning just because you're are familiar with winter storms. What Should I Do in a Flash Flood? Most flash-flood fatalities occur because people either underestimate the power of fast-moving water or they are not prepared for an emergency situation. Follow these six tips before and during a flash flood to keep your family safe during severe weather. Have an emergency plan and kit ready to go. If you're forced to evacuate, you need to know where to go. Learn the highways that are safe to travel during a flood and which roads are likely to collect water. It's good to have an escape plan formed before imminent danger so you can quickly reach safe territory during flood conditions. Also, prepare and store an easily accessible emergency kit, packed with essentials like flashlights and a phone charger for your car. Stay up to date on weather forecasts. If you have a mobile device, you're likely to receive a Wireless Emergency Alert (WEA) during flash-flood conditions. It's still a good idea to be aware of possible of severe weather before these alerts are sent out. The more notice you have, the better prepared you can be for weather hazards. Don't wait until a warning to take action. As soon as you know a flash flood is likely to occur, take action. 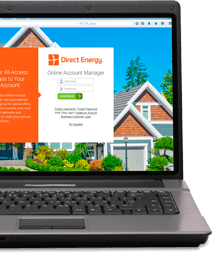 Depending on where you live, this might mean evacuating to safer territory – just disconnect utilities and appliances first. It might also mean getting off the road and finding higher ground. Follow evacuation orders immediately. You don't have to wait for orders to evacuate, but once these orders are given, you should follow them immediately. Move to the highest point possible and call 911 for help. If it's too late to evacuate your home, move your family to the attic or highest point possible and call 911 for help. Do not drive or walk near flooded areas. 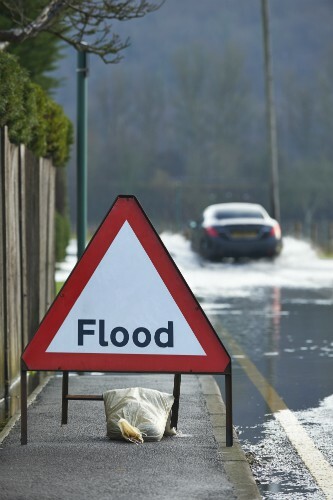 Over half of flood-related deaths occur when people drive their vehicles into flood water. The next highest percentage of drownings are caused when individuals try walking into or near flood waters, according to the Centers for Disease Control and Prevention. It only takes six inches of fast-moving water to knock over most adults and 12 inches of fast-moving water to carry away smaller vehicles. Never try to walk or drive through a flooded area. Turn around – don't drown! Flash floods are a serious, life-threatening weather hazard. To learn more tips about flood safety, visit the National Weather Service today.